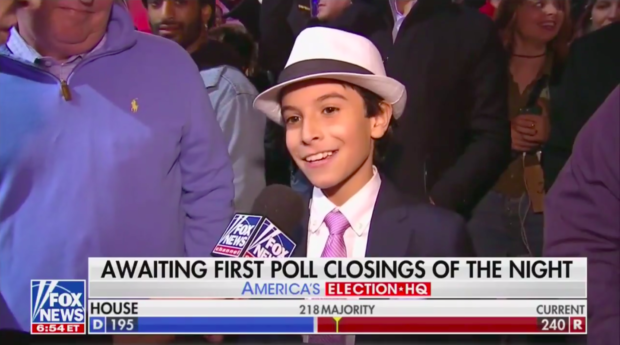 A sharply dressed grade-schooler from Texas known as “Kid Reporter” stole the show during a Tuesday night Fox News public interview segment. Introduced as Phoenix, a “very special guest” who “is very in-tune politically,” Kid Reporter was asked if he had any election predictions. He then jumped right in with an opinion on Democratic Senate candidate Beto O’Rourke. “I’ve got two words from you. You are hired,” said Carley Shimkus.